It’s a question that seems complicated, with a response that would theoretically be filled with snobby references to unidentifiable flavors, loose throwing around of the word “passion” and of course, plenty of mustache curling. But the reality is that home-brewing is not reserved for pretentious hipsters who resemble a lumberjack interpretation of an Arcade Fire member. Rather, it’s a very accessible hobby. Yes, it is a bit time consuming, and yes, there is a bit of work involved. However, while I can drone on and on about the ability to customize your beer in any way you want (seriously – you can throw chicken in there if you want to) possibly the most appealing angle is that it’s cheap. Like, really, stupid cheap. While you can spend tons of money on equipment, the most basic set up, including a plastic carboy, or fermentation jug, a couple vinyl hoses and a capping machine, will run you a grand total of about $40. This equipment can be used indefinitely, so long as it is kept clean and maintained. But as for actual beer production, as in the ingredients you need, the cost is damn near negligible. Starting off, a budding brewer will want to take the easiest and cleanest route possible. This would be the concentrated wort route. Wort is the word for beer before it’s fermented. The cost of a can, which comes in a variety of different viscous syrups, is usually around $16, which will produce about 5 gallons. This comes out to right around 53 and one-third beers, which in turn comes to a rough cost of thirty cents a beer or $1.80 a six-pack. In comparison, at Wegmans, the going rate for a six-pack of Genny light – the beer even some homeless drunks will turn their nose up at – is $3.99. Of course, this is the cheapest way to brew, but it is also the most accessible way. Once you grow comfortable with this method, you can move on to more advanced, traditional techniques, utilizing pure grains and hops. 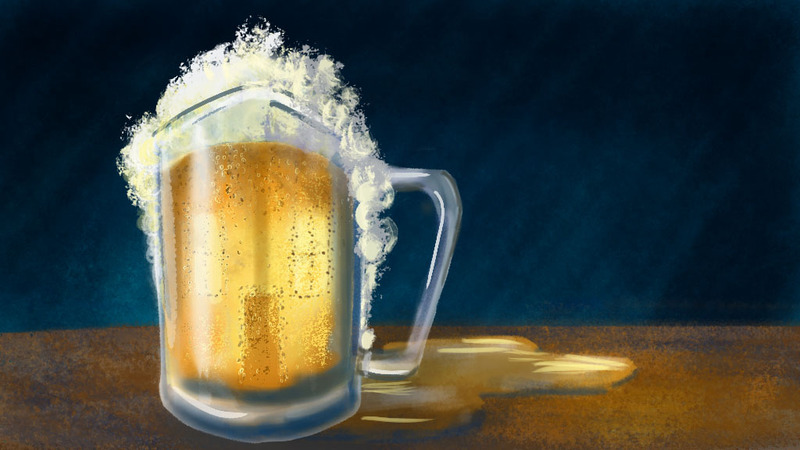 But the fact remains, the home-brew is not some super elitist hobby reserved for the most aloof of scenesters, but rather one that is easy, affordable and most importantly, bountiful for any college student with a love of suds to pick up.